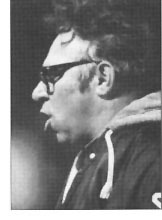 The late Tom Bruna, who passed away in May of 2000, became a legend in Princeville High School football history. In charge of the Princes' football program for 26 years starting in 1966, he built Princeville into a Class 1A power. 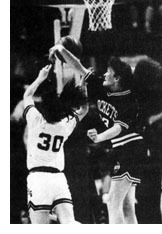 Losing 25 of its last 27 games just prior to Bruna's arrival, Princeville went 7-1-1 in his third season, the start of a stretch in which it went 99-19-2 from 1968 through 1979. The jewel of that stretch was a 9-0 record in 1937 when star ball carrier Al Marlin led the state in rushing one season before the state playoffs began. Two seasons later his 1975 team made it to the state finals in Normal, finishing second. Altogether he coached Princeville to a 167-78-2 record and into eight state playoff berths. He was voted the Greater Peoria Area Coach of the Year in 1979 and was inducted into the Illinois Coaches Association Hall of Fame in 1991. He was on the staff of the West team in the Shrine All-Star game in 1976. He retired from coaching after the 1992 season. "He had a knack for getting the best out of you," said former player Don Tanney, who wound up coaching against his old mentor. "When you think of Princeville football, you think of Tom Bruna." "He put his heart and soul into football," pointed out Tom Bruna's brother Don.